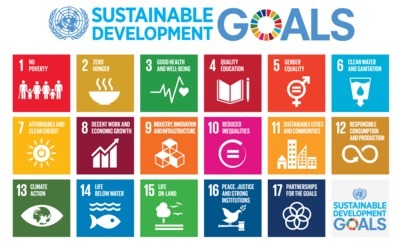 The Sustainable Development Goals (SDG's) are a set of global priorities for ensuring that economic, environmental, social and cultural wellbeing is achieved for everyone around the world. They are ambitious goals for governments across the world to achieve, but there is a lot we can do at school and at home to support them. These goals might seem overwhelming at first but we can all take steps towards them. This guide has lots of great suggestions for what you can do to help from your sofa, at home and beyond depending on how much time and effort you can put in. Everyone can help! SUSTAINABILITY from ANIMASKIN on Vimeo. The Global Goals website has a range of lesson plans for pupils of all ages for each of the 17 goals so there are plenty of opportunities to link them in to your curriculum work. Why not get involved with the world's largest lesson from 24th September 2018 to introduce the goals to your school. There are free resources to take an assembly or a class lesson, you can even download participation certificates afterwards! To help you find out more about the SDGs there is even an online course available for teachers or other educators wanting to teach others.